On the video blog this week, I am reading one of my all time favorite daydreams (Week 4 Day 1). 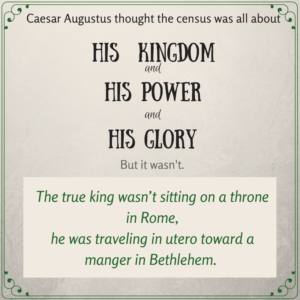 What if Mary and Joseph knew that their baby was supposed to be born in Bethlehem? Did they talk about this prophesied birthplace for the Messiah? Did they think they should make preparations to go there? I hope that you can take some time to listen in to how God worked out every single detail of their birth plan. Do you still have wrapping to do? I do. As we wrap gifts, let’s remember that God wrapped his birth announcement in grace — that he came because he loved us first. And let’s not forget the strips of swaddling cloths used to wrap the newborn babe, Immanuel. 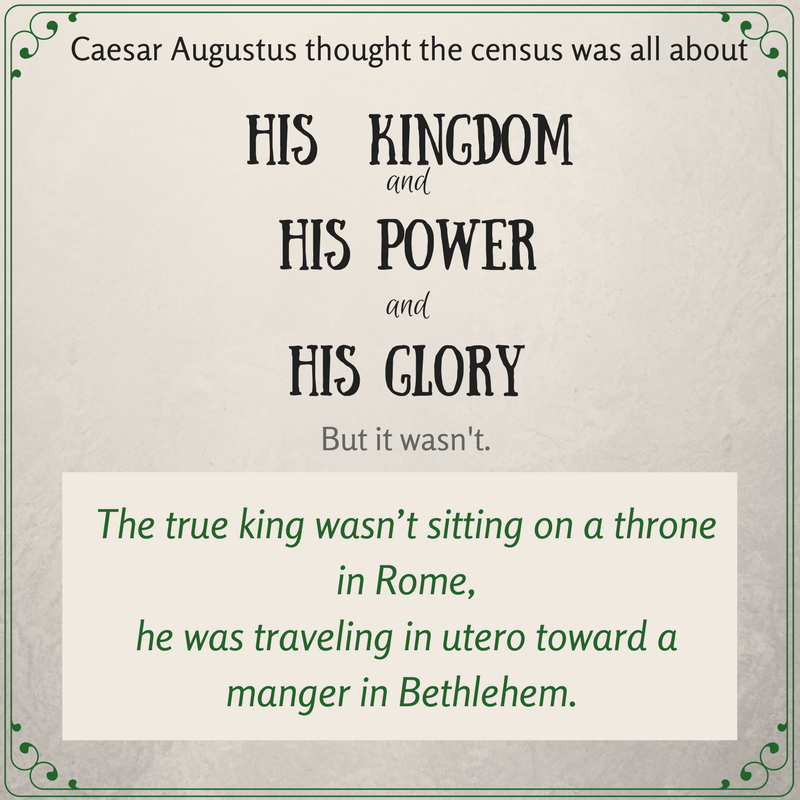 May they remind us that God became flesh. As we prepare for company, let’s choose to keep in mind that God came to earth on a night when there were not enough beds for everyone. His flexible mom made do with a manger. He does not require perfect accommodations to make himself at home in our lives. As music fills our minds and homes, let’s remember the song the angels sang. and the way the first sight of baby Jesus caused the shepherds and wisemen to worship him. May our music honor him. 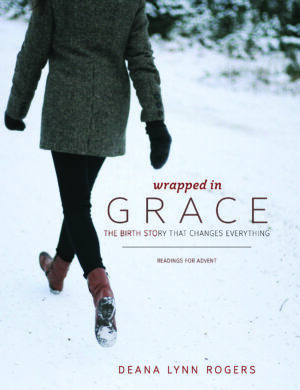 I have loved hearing from all of you about the way you have gathered with your friends and families during this season to read through Wrapped in Grace. I will be posting photos this week here and on social media of friends and groups that have set aside time to remember Jesus together. If you would like to be included, please send a photo via the contact page! How are you carving out time to remember Jesus this week?